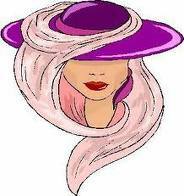 I got the following from an anonymous email encouraging everyone to wear a purple hat and to honor Erma Bombeck’s life. Of course it was the purple hat that caught my eye first. I’d heard of her, but was not really familiar with her work. But the more I read, the more grateful I felt that someone on the brink of death would take the time to share lessons on how to live a grateful life everyday. Erma died April 22, 1996. The best way to show your gratitude for her sharing and to honor her life is to pick one or more of these and apply to your life now! I would have gone to bed when I was sick instead of pretending the earth would go into a holding pattern if I weren’t there for a day. I would have eaten popcorn in the ‘good’ living room and worried much less about the dirt when someone wanted to light a fire in the fireplace. I would have taken the time to listen to grandfather ramble about his youth. I would never have insisted the car windows be rolled up on a summer day because my hair had been sprayed or teased. I would have cried less while watching television and more watching life. I would never have bought anything because it was practical, wouldn’t show soil, or was guaranteed to last a lifetime. But mostly, given another shot at life, I would seize every minute…look at it and really see it… live it and never give it back. Stop sweating the small stuff. Don’t worry about who doesn’t like you, who has more, or who’s’ doing what. Instead, cherish the relationships we have with those who do love us.